OH MY GOD! 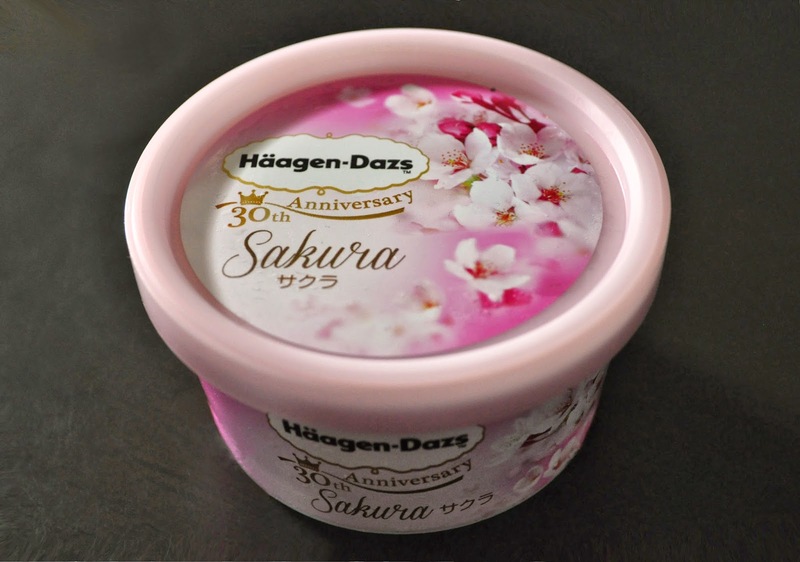 Haagen-Dazs has outdone themselves with their 30th anniversary Sakura Flavored ice cream. Another flavor released for the commemoration was Rose, but I'm not keen on rose flavors or scents. 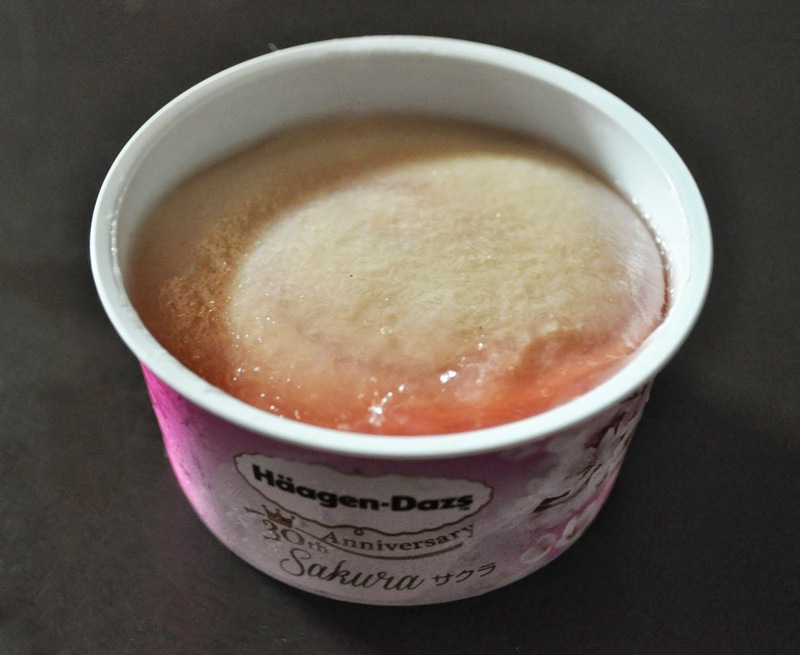 There's a thin, sakura-flavored jelly on top that is also swirled throughout the sakura-flavored ice cream. By the way, unless you shop at Costco (which only offers vanilla, chocolate and, I think, cookies & cream), this "modest" sized ice cream cup is the biggest size of Haagen-Dazs you can get in Japan. Anyway, back to the ice cream, it's so, so DELICIOUS! I'm going to have to stock my freezer like the husband did in Sleeping with the Enemy with this divine frozen treat that's "made like no other." Do you have Seasonal limited edition Haagen-dazs Flavors in your country? That's SO not fair!! That looks & sounds so delicious :-) I haven't came across any special-ed Haagen Dazs here.. hmm, if I can think of any I'll let you know. Oh, I remember a seasonal flavor I used to buy in the states, German Chocolate Cake. This is the ice cream they feed you in heaven! Goodness, that looks tasty! Japan's seasonal flavoured stuff is the best. Actually, Japanese snacks in general are the best. I really miss the strawberry cheesecake ice cream mochi I got there! The Strawberry Cheesecake flavor was awesome! One of my seasonal favorite is Pumpkin...oh so good! What flavors have you tired? The small tub always leaves me waiting.